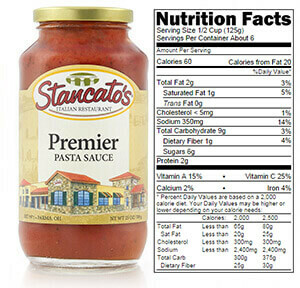 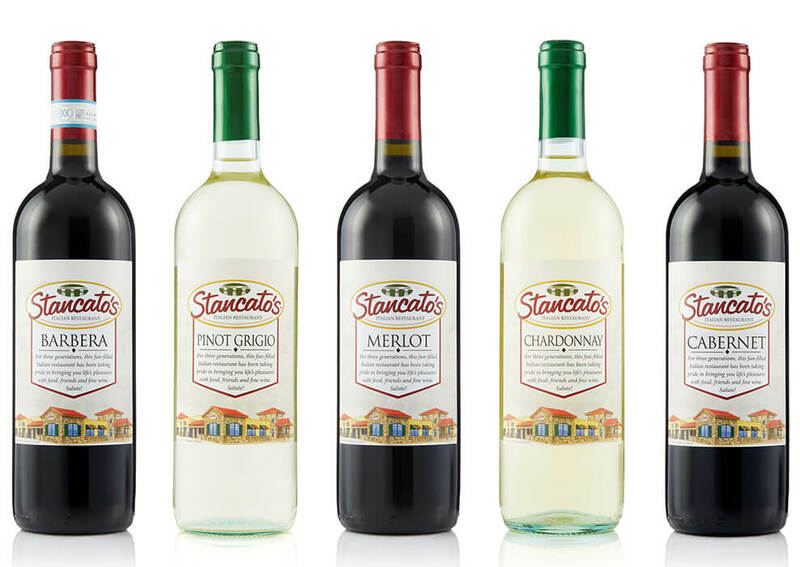 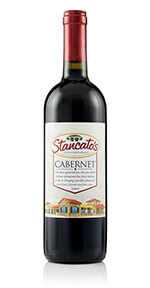 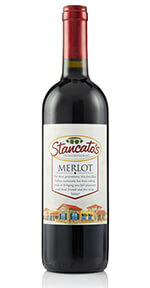 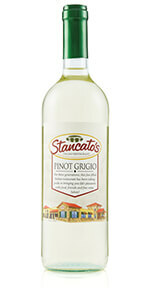 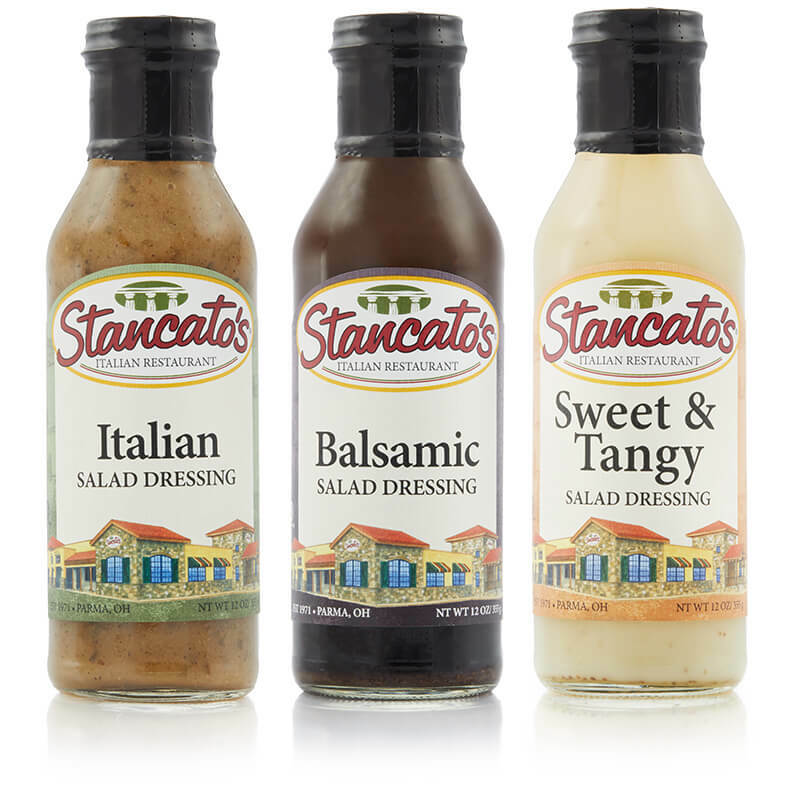 Stancato’s, rich in tradition and family, only uses the finest ingredients for all their Italian Salad Dressings. 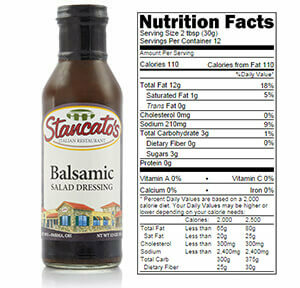 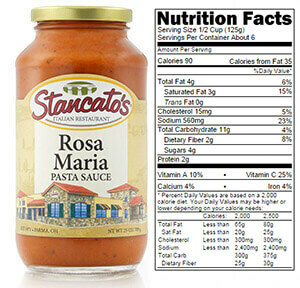 When you want a homemade quality Italian Salad Dressing, remember Stancato’s, where gourmet is the taste you’ll love. 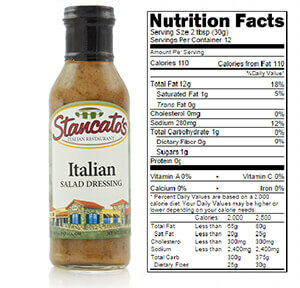 Stancato’s Italian Dressing will excite your taste buds with its unbelievable crisp and authentic taste. 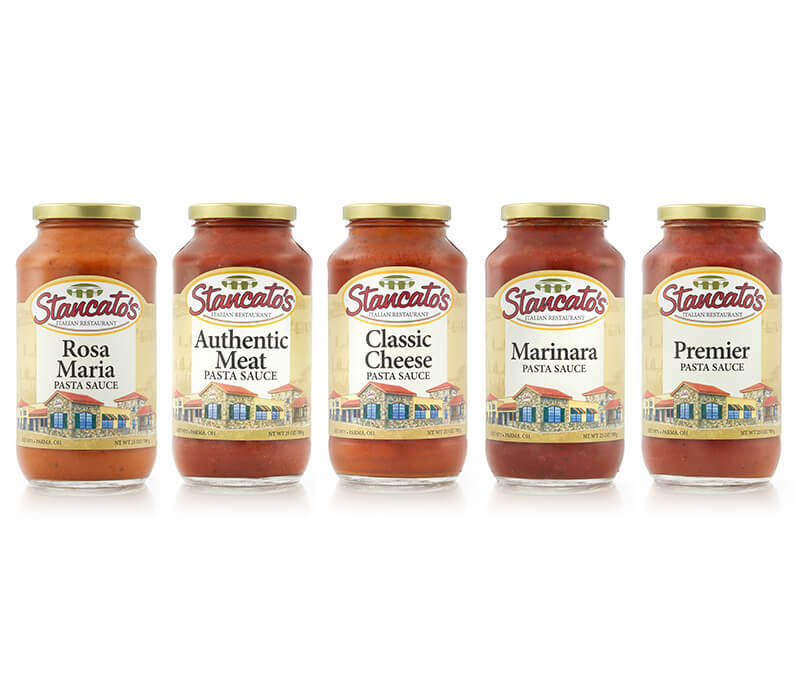 We have carefully selected and blended all natural ingredients including just the right balance of herbs, spices and imported cold-pressed olive oil for an Italian flavor you and your family will love. 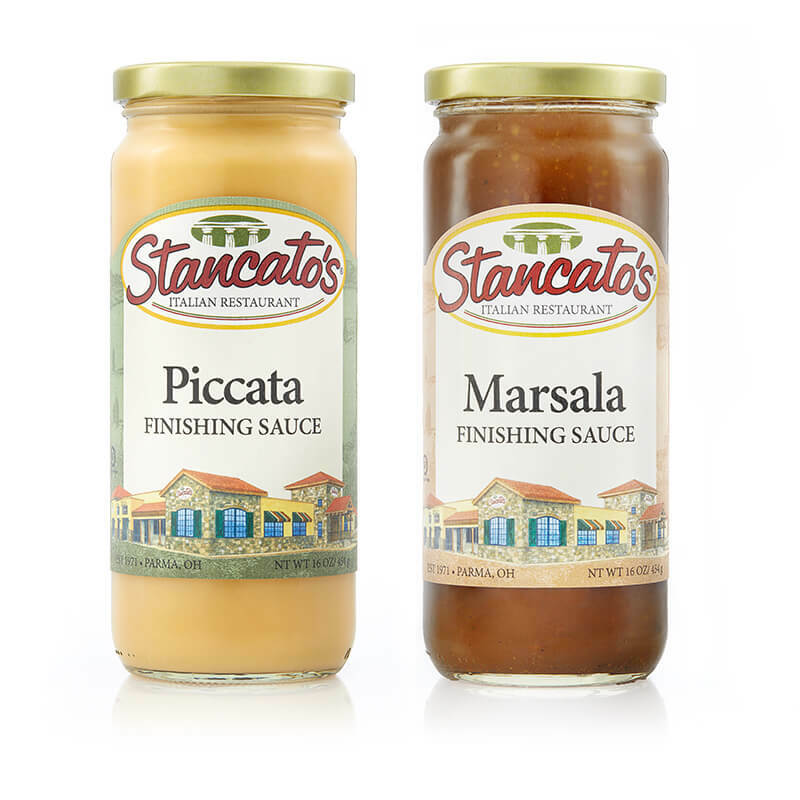 From our family to yours, zest up your salad or use it as a marinade to add a touch of Italy and Stancato’s to your next meal! 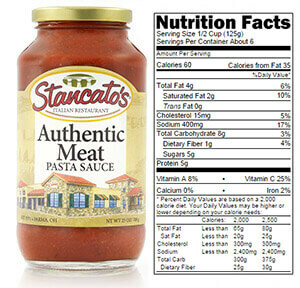 Oil Blend (Canola Oil, Extra Virgin Olive Oil), Imported Red Wine Vinegar, Water, Salt, Sugar, Spices, Garlic Powder, Xanthan Gum. 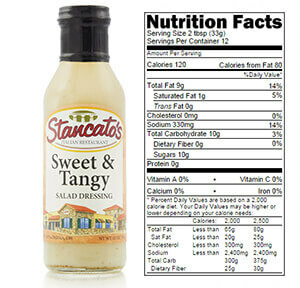 Stancato’s Sweet & Tangy Salad Dressing is a light summery blend of sweet apple cider vinegar, celery seed and green tea extract combined with a perfect mixture of spices. The sweet & tangy balance is sure to satisfy your palate and enhance your next fresh fruit or Sunshine Salad. 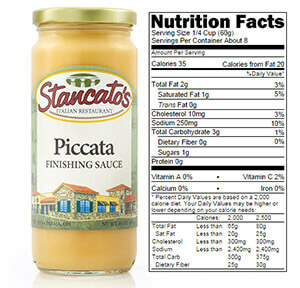 Cider Vinegar, Sugar, Canola Oil, Water, Salt, Spice, Dehydrated Onion, Xanthan Gum, Celery Seed. 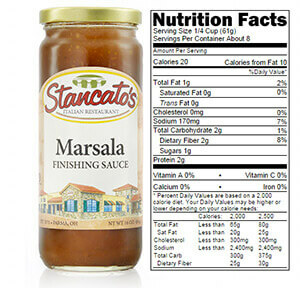 Oil Blend (Canola Oil, Extra Virgin Olive Oil), Balsamic Vinegar, Water, Sugar, Salt, Spices, Garlic Powder, Xanthan Gum.